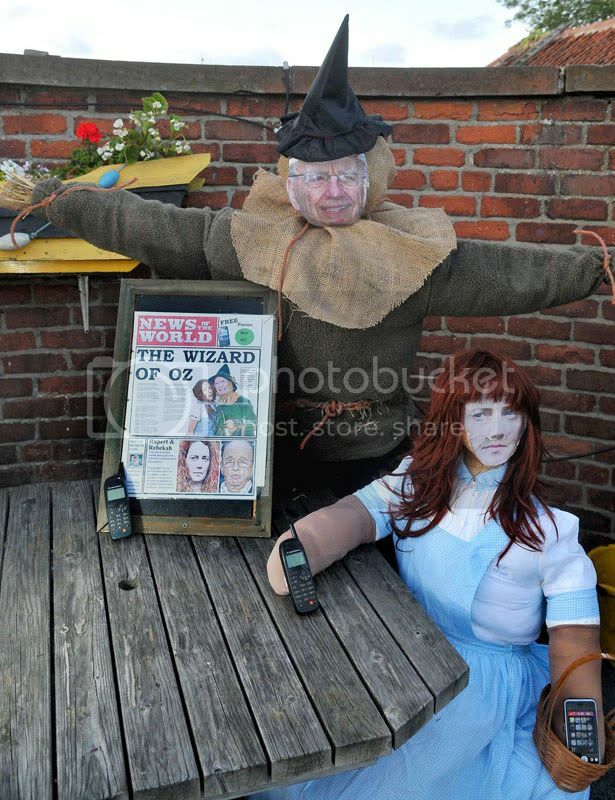 Residents in a UK village were in for a shock last Friday (22 July), when they discovered a whole host of scarecrows had popped up in pubs, parks, and even front gardens - including effigies of Rupert Murdoch and Rebekah Brooks. But this wasn’t an effort to curb a serious crow problem, rather a part of the week-long Scarecrow Festival, held every year in Muston village, Yorkshire. Cancelled last year due to extreme flooding, this year the festival returned with a vengeance, with locals battling it out with their weird and wacky straw creations in order to win the £50 prize. 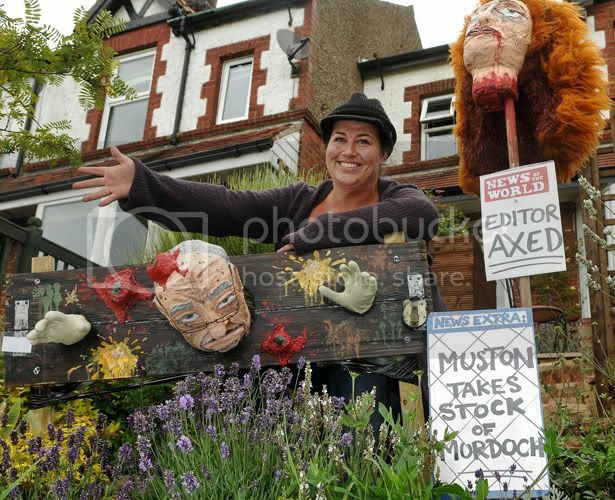 This year, current events were the main source of inspiration for entrants, and unsurprisingly, Brooks and Murdoch stole the show, with a number of scarecrows created in their honour. Our personal favourite was Paul and Nicky Healy’s design of Rebekah as Dorothy from the Wizard of Oz, and Murdoch as the scarecrow. Characters from Harry Potter, BBC TV show Doctor Who and even Irish pop duo Jedward (with matching sky-high quiffs fashioned in straw) made an appearance. ABOVE: Two examples of scarecrows inspired by the phone hacking scandal. 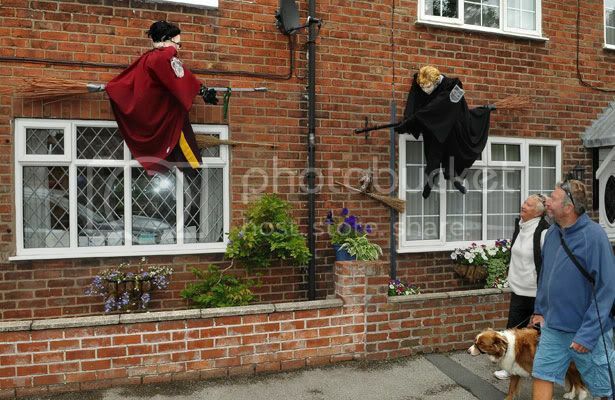 ABOVE: Harry Potter and Ron take flight in a front garden. 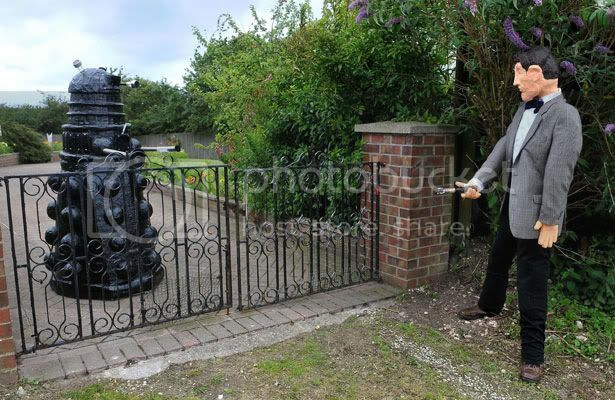 ABOVE: The Time Lord tries to defeat a Darlek - but is foiled by the front gate. 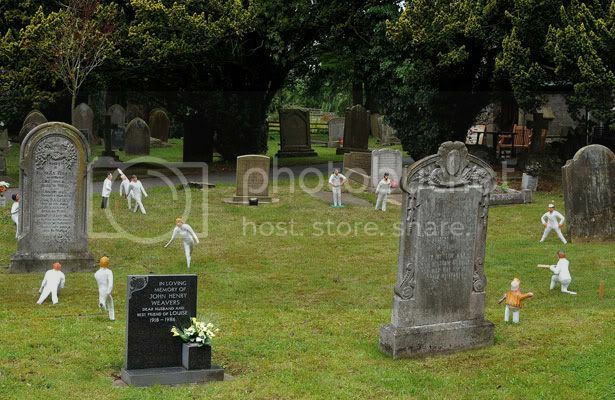 ABOVE: A mini cricket team swap the village green for a graveyard to set up play.